Tis the season for everything pumpkin! From pumpkin pie to carving pumpkins and now one of my new pumpkin favorites, pumpkin sugar cookies! After going grocery shopping one Saturday I discovered the three pack of Libby’s pumpkin puree at Costco. This is my go to pumpkin puree ever since I married my husband and learned how to make pumpkin pies from his mom(she is a big fan of Libby’s). It just always seems to make the perfect pies and apparently perfect pumpkin sugar cookies as well! So if you haven’t already gotten your Libby’s pumpkin puree, then head over to Costco and they might have this awesome deal at your warehouse too and then you will be set for at least the next month or so. After getting my puree I knew I needed to start baking up some delicious pumpkin masterpieces but I wanted to make something new and something that the whole family would like, my husband is not a big fan of chocolate so that automatically made my search even harder since I love everything chocolate. That’s when I came across this delicious and easy recipe for the cookies and frosting, they turned out to really be the perfect fit for each other. Keep reading to find out how to make some of your own! 2. 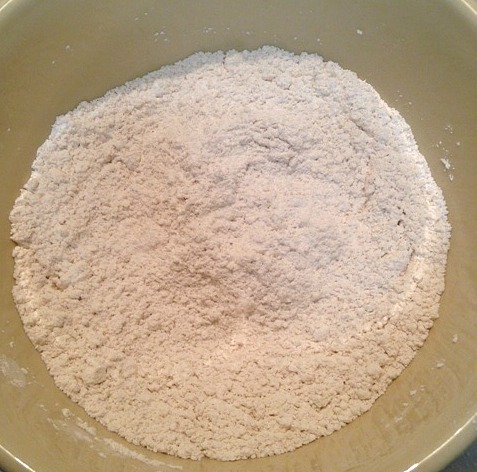 Mix together flour, cornstarch, baking powder, baking soda, salt cinnamon, nutmeg and ginger. 4. Mix in egg yolks one at a time. 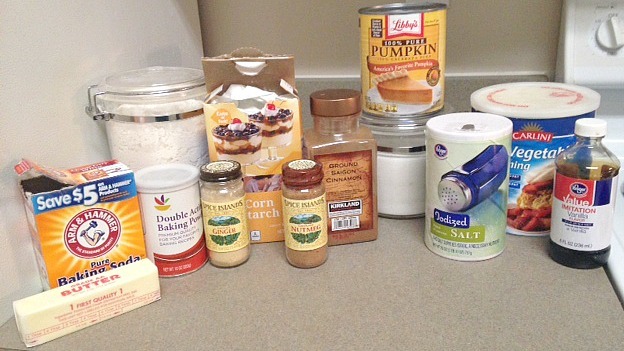 Then mix in pumpkin puree and vanilla extract and slowly add in the dry ingredients until combined. 5. Now spoon dough out 3 TB of the dough at a time and form into dough balls. Put 8 cookies on one sheet making sure to lay down parchment paper, silpat or oil before putting the dough down. Flatten the cookies into cookie shapes, a circle, until they are each just under 1/2″ thickness. 6. Bake in oven for 11-12 minutes. 7. Cool the cookies for several minutes. 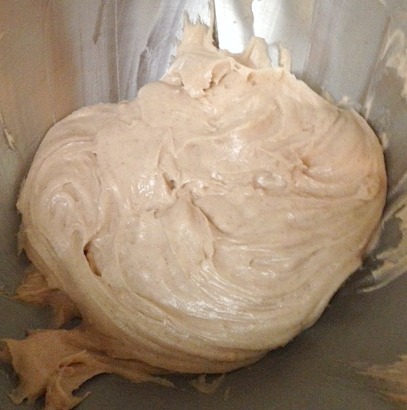 Then follow the next directions for the cinnamon cream cheese frosting unless you choose to go with another one. In a mixer whip together cream cheese and butter until light in texture and color. Mix in cinnamon, vanilla extract and powdered sugar. Mix in enough milk to a desired consistency. I ended up using all of the milk because I like soft and smooth icing. Make sure that if you put the frosting on the cookies right away that you store them in the fridge so you don’t get sick since there is cream cheese in the frosting. My family and I frosted our cookies as we went and stored the frosting in a container in the fridge until we needed it. Another fun thing to do is to have a family night and have fun frosting the cookies together. You could even buy some extra toppings like sprinkles to add more fun and time to the activity. 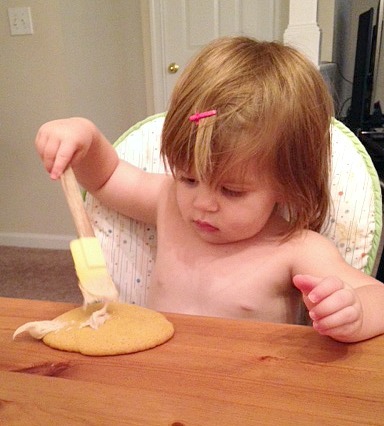 My 2 year old had a lot of fun frosting her cookie and eating them too! Everything seems to have pumpkin in it, Coffee, cream, bread and cake. I like pumpkin pie. Cookies look good. Betty, Chocolate and pumpkin is actually very good together! I tried a chocolate chip pumpkin bread the other day and I loved it. Ate almost 2 loaves by myself, with a little help from my family! The cinnamon cream cheese is a great match for these cookies! It is so good. Let me know if you end up trying the cookies and frosting out or even just one of them. Yummy! I will try this recipie with my kids, thanks for sharing! 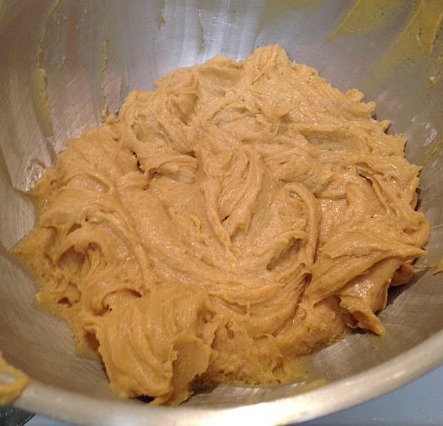 Oh my, these look so delicious, pumpkin and soft… will be very hard to not eat the whole batch. The frosting looks delicious! I’ll have to try and make this in the next few days and get my grandson to help me frost them! Yum, these sound delicious! We may have to give these a try. These sound really good! This time of year I like everything pumpkin flavored. I will have to try these, the kids will enjoy them. thats what im talking about..thank you happy halloween! These look delicious. 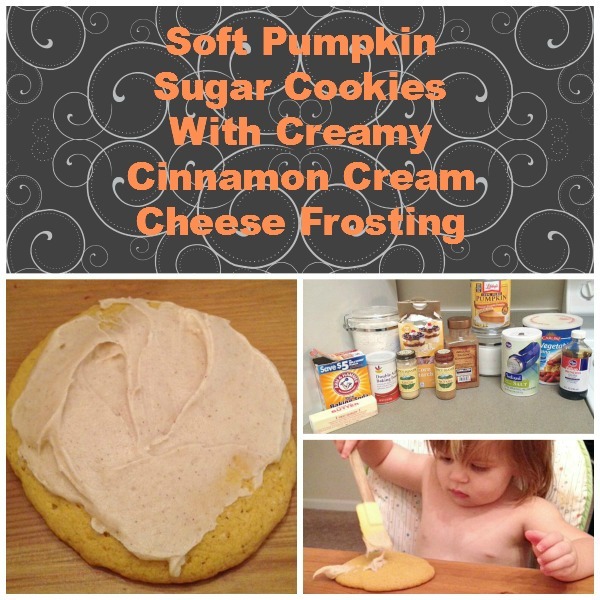 I love pumpkin, cinnamon, and creme cheese – I bet they are fantastic! These look very good – I love cooking with Pumpkin around this time of year. Looks delicious and I am sure my kids would love it too! These cookies look delicious. 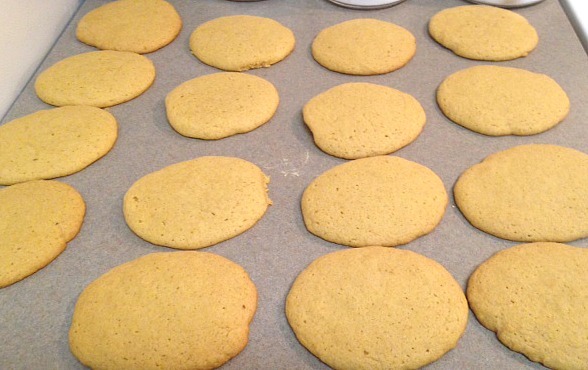 I have never had pumpkin sugar cookies and now I can’t wait to make this recipe! These look wonderful and something I could make with my nephews.